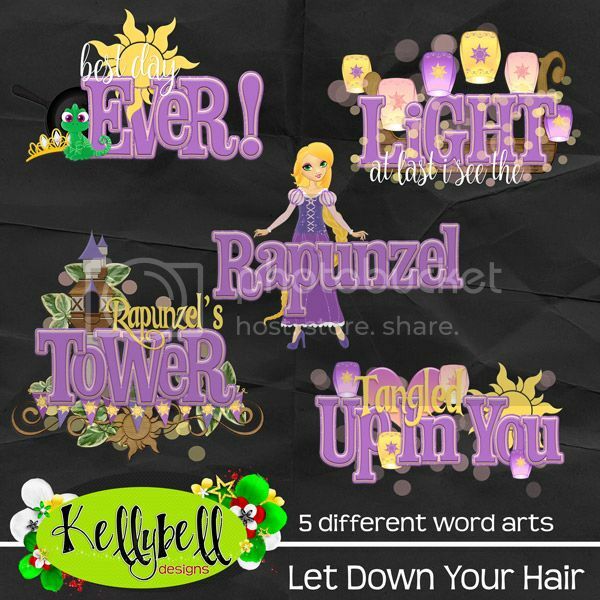 This has got to be the best day ever, because Kelly's newest collection is all about Rapunzel! You will love creating pages of Rapunzel meet and greets, the New Fantasyland restrooms, Pascal magic shots, parade pictures and more! 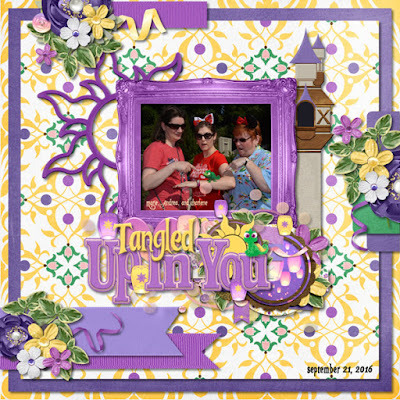 You are going to want to have this one for your princess stash! 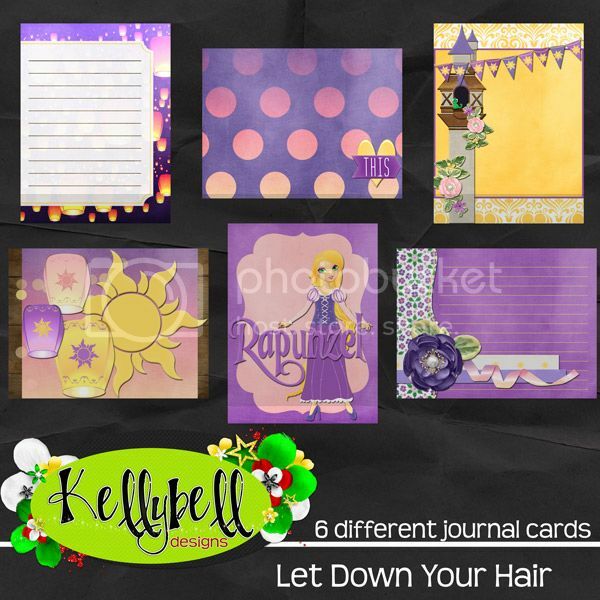 Inside the kit you will find wonderful purple and pink papers filled with lights and swirls and flowers. Unique elements include a gorgeous doll, tower, frying pan, crown, lanterns, suns, banners, frames, Pascal and much more. There is also a beautiful purple alpha too! Here's a layout I made with Let Down Your hair. How about some dreamy freebies from the team? You can find them at Jenn's blog, Lisa's blog, and Roxana's blog.